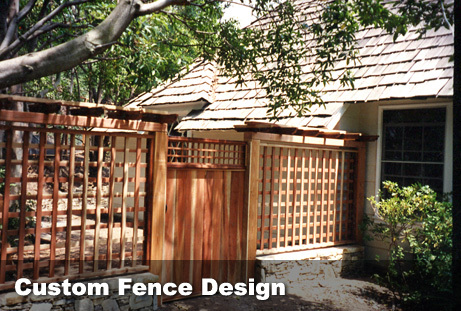 Quality Redwood Fences, Custom Wood Fences and Gates. 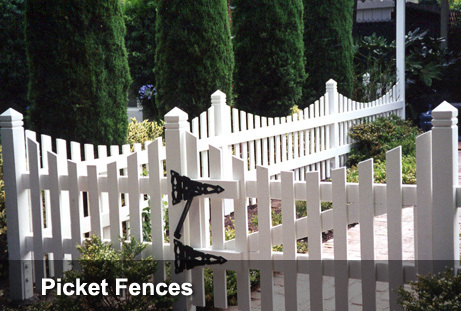 A quality home needs a quality fence. 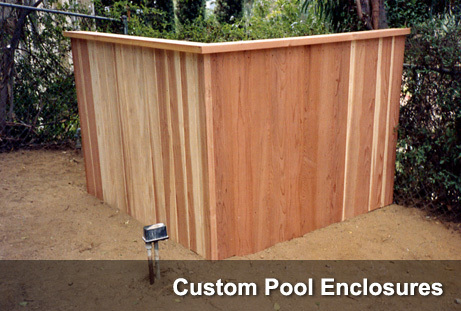 Jay's custom wood designed fences will complement any landscape and add a touch of the unique to your garden. Walltoppers can add a degree of privacy to your exisitng block wall, or a free-standing fence topper can add strength and safety to an older, unstable, block wall. 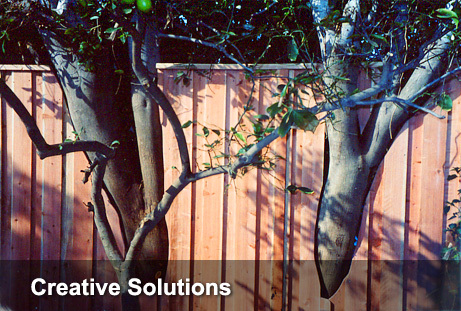 We've all seen wood gates that sag, drag and droop. 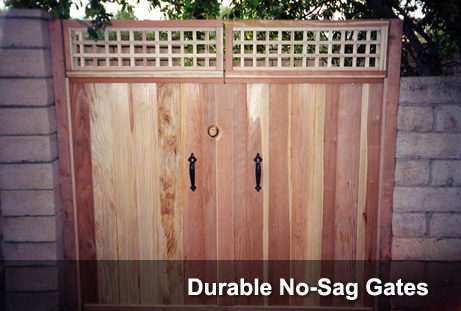 Using quality materials, heavy-duty hardware, superior construction techniques and well thought out design - Jay will build you a wood gate that will stand the test of time.